There have been quite a few articles re Sensecam in press recently re Microsoft licensing it. It is more than just a time lapse camera. I designed it initially in 1999 as a new type of video compression system to capture all the interesting moments in life - but leave out the repetition and dull bits. Many of us sit behind PCs all day and there are better ways of capturing the pc desktop see Microsoft's MyLifeBits as an example. 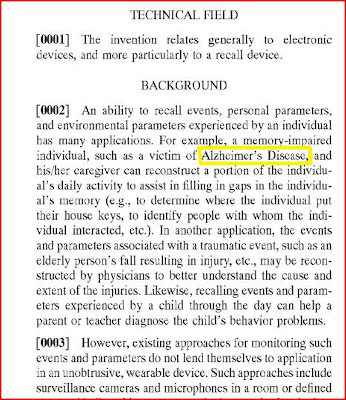 (MyLifeBits does as a whole lot more, but this is one interesting feature of it, here is the book) Patent introduction above shows my 2004 invention of Sensecam for Alzheimer's. In SenseCam, sensors such as heat sensors, to detect people, light sensors, to trigger a sequence of pictures of rooms as person walks through doorways. 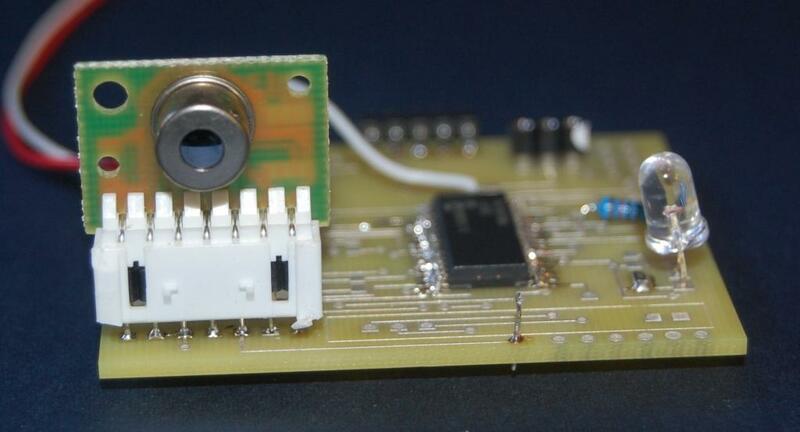 An accelerometer can detect user moving and capture image and also reduce blur in the image. A microphone is triggered on loud sounds and images captured. Tagging data with GPS as in my SmartQuill patent here. Even a heartrate increase can be logged with SenseCam images. These events may happen about once every 20 seconds and played back as a continuous sequence of images at about 5 frames per second. That gives an approximate video compression ratio of up to approx 1:100. Here is a 2007 video example of my bike ride, the compression is around 1:15 here as quite a lot of action events when cycling. It is from Girton, Cambridge, up Huntingdon Road, past the Astronomy Labs to Microsoft Research. A less dynamic sort of day will allow compression of around 1:100 or better. My "normal" days are probably a bit like many of us engineers , behind a PC, writing and debugging software, hardware debugging with oscilloscope and soldering iron. (I ignore email if I am debugging software as interrupts train of thought). The SenseCam also captures around 400% more of the view as it's close to a fish eye lens view 104 degrees compared to around 50 degrees on normal camera. JPEG comparison is a compression ratio of approx 1:100. What next after SenseCam? 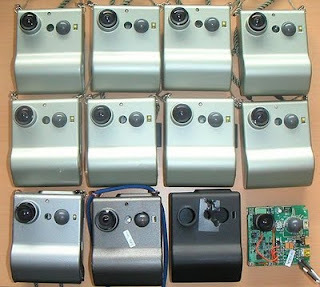 After I left Microsoft I set up Girton Labs and designed SenseBulb technology to capture all that the Sensecam missed. It is a camera with heat imaging and captures life in all it's minutiae. It's first application is a camera that replaces a lightbulb and sends mobile phone text messages of activity in the house. Thermal images are replicated as "colour shadows" and so no real privacy issues. Mundane events such as back doors left open, fridges being opened, people moving around the home, eating, sleeping, TVs switched on indicate the "aliveness" of a house and it occupants. This is useful for Assisted Living, Alzheimer's and people living on their own. A family member will get a text message saying fridge door opened 3 times this hour, that means all is well. I guess some people would find it useful to text or Twitter "I'm home" completely automatically via SenseBulb rather than manual typing. 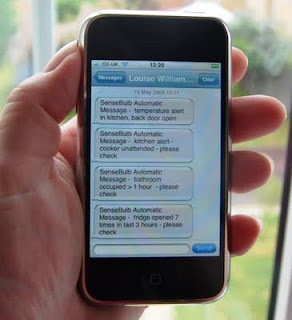 SenseBulb transmits encrypted text messages messages via GSM network so as not to inform burglars, Twitter is for all to see. I have prototyped Sensebulb V1 and its fun. A bit more here on SenseBulb. (Patent filed) Page very out of date as current version V2 with colour pixel display now being tested. Email me if any questions on this technology at sensecam@gmail.com or call me on +44 (0) 7970 101578 (Cambridge UK). Why no audio on the SenseCam?